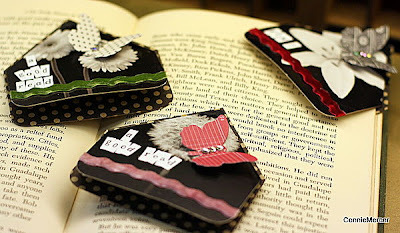 crafty goodies: Try It Tuesday~Darkroom Door's Photo Chips!!! Hi everyone~this is going to be a short Try It Tuesday but a super cute one!!! I had one pack of the Darkroom Door Photo Chips packs and they are the perfect size to make these quick and easy book marks which equals to quick and easy gift!! All you do is find the center point and fold in to make a point and that point is what stays on the corner of the book page~marking the page..
Local peeps Craft Crossing carries Darkroom Door products and they have some of the photo chips in stock. Here is another project using the photo chips ~ go here. 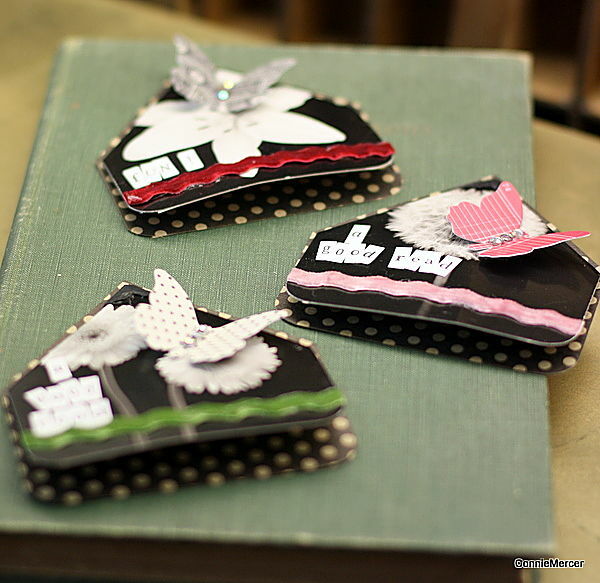 Many uses and they are awesome for cards and scrapbooking!! Very cute indeed. I especially love those button holders. I love repurposing things to make them new. I found a old wooden wine crate used to hold one or two bottles of wine for gift giving, it now holds my ephemera for my art journals and canvas. I tore up some old sheet music and mod podged it on the top with a group of girls dancing. Like new! Ladies email me your snail mail and I will mail out your goodies and thanks to everyone~wish I had a gift for all of you!!! Those are soooooo cool and pretty!!! 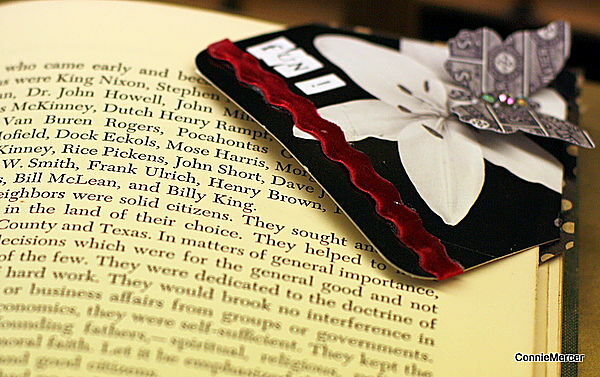 Love these bookmarks... I've made a few. Thinking I'll add them as stocking stuffers this year. Who would have thought something so simple could turn out so PRETTY! What a great and elegant idea.